My Nintendo hasn't exactly blown the doors off since its launch earlier in the year, but the loyalty / rewards programme does occasionally have some positive offerings. In Europe that now includes discounts on the latest Nintendo Selects games, which hit stores and the eShop on 30th September. Until 16th October all four of this week's new arrivals in the range have an extra 20% off in exchange for 30 Gold Points. These games are normally €24.99 / £19.99, so with the extra 20% that should be €20 / £16, give or take a penny/cent. If you need a reminder, the following are the new arrivals available at a discount on My Nintendo; the 'eShop Selects' releases of Fast Racing NEO and SteamWorld Collection aren't included in the rewards. These games should appear on the eShop at 11pm UK / midnight CEST on 29th/30th September, and are surely tempting at $20 / £16 for those with some Gold Points going spare. Are any of you Europeans planning to jump on this My Nintendo deal? Let us know in the comments. With thanks to PtM for the heads up. I wish they would do this in NA. Still not worth it over a physical copy. Plus we're all still waiting for more actual rewards. Heck I forgot my Nintendo existed till I saw this. Too late as I have them all except Mario party 10. 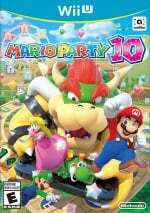 Doesn't seem worth it for 16 pounds as I saw Mario party 10 at cex for 15 pounds used. You're mistakenly using the dollar sign rather than the €. Wow...they're ALL amazing bargains but even more so now. Get them all! I remember the N64 days when 'Nintendo Selects' was named 'Player's Choice'. If that branding still existed, I very highly doubt Mario Party 10 would be included. @InternetBowser Shadow the Hedgehog was part of the Player's Choice lineup. @jimi it's the gift that keeps on giving. @WhiteTrashGuy Got 20% off LCU and Luigis Mansions Dark Moon with Amazon Prime. Yes, I had to pay for Prime, but we watch a lot of videos, so I do it for that. For $10.99 a month I saved $8 on those 2 games, deli ered toy house release day. Sorry to sound like an infomercial but paying monthly for Prime can save you money. @Grumblevolcano Hmm... that's a game I always meant to play after enjoying SA2B, but in retrospect, perhaps player's made a bad choice too! haha. Can't say anything about the N64 titles though! 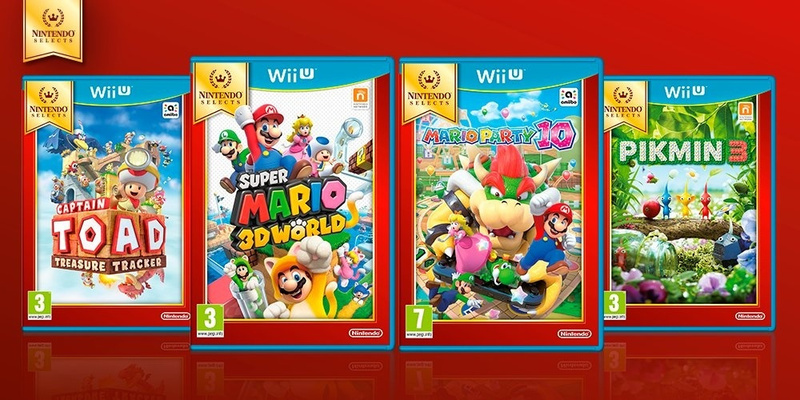 @InternetBowser mario party 10 needed that price reduction bad, thats the only reason. No. I already own them all physically except MP10 and I've no interest in that tripe. I suppose if you're a digital only owner the discounts could be tempting. There's a couple of typos in there with the $ sign where it should be €. I know these are gold coin rewards but remember that platinum coins are expiring tomorrow at midnight as September ends. Hm not sure. I only have Pikmin 3 out of those four, but MP10 didn't convince me at a friend's Wii U, the same applies to Toad. And I always disliked Mario 3D World because it's not a real open world 3D Mario game. But this one is probably the only one out of those three that I might think about, but still unsure... I have 220 gold points, why can't I buy one of those games for free, Nintendo? If 30 points give me 5€/20% discount, how about I spend 150 gold coins and get it for free? Or how about you get 20% off of any eshop game you like for 30 or 50 gold coins? Otherwise the whole reward system is kinda pointless because you never get what you want and you still have to pay a lot of money. @edgedino Exactly right, it doesn't even appeal to me and I loved the original on the N64. They're so way off the mark now. nothing for me here, no new 3DS discounts. Meanwhile, those with Amazon Prime get the 20% discount if they buy within two weeks of release (yes, the Nintendo Selects production run counts!). I'd like to buy that Captain Toad but i propably get physical version. lots of u already have those games..... Any news about a discount on paper mario color splash coming on my nintendo? My work requirements make doanloadinbg games the best option for me and the 3DS has been my preferred platform for the last couple of years so I have a large amount of gold coins. It would be nice to have a few more options to use them. Perhaps some of the platinum offers could also be purchased with gold coins? Meh I own all of them digitally. I want discounts on the other Selects or the 3DS Selects instead. What I find upsetting is that I bought a lot of big titles in the eShop upon release and thus for full price. I already own these games since launch! There are no rewards what so ever for customers that have been faithful for years, only incentives for new buyers. Oh well, with coins decided to finally go with Treasure tracker. It's mostly 29.90 here - and for some reason places that sell used ones mostly have almost price of the new game. Good news! Finally reason to spend some of those dusty gold points. In my eyes that's a bit of a naff deal. 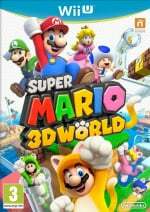 I bought the Select Super Mario 3d World from Amazon for £16 yesterday. Still nothing useful in My Nintendo. They really need to up their game regarding the software download rewards. Meh rather get a retail version. 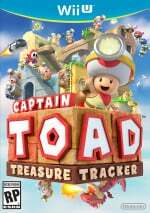 Had a total blast with Captain Toad! F*****ck! 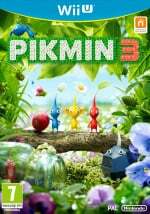 Just got Pikmin, didn't know about this because I really can't bother with My Nintendo. Hopefully the gold coins will carry over to something really NX:y.
I've bought Fast Racing NEO. I dont like digital games. Now its finally disc.